WASHINGTON (Reuters) - White House economic adviser Larry Kudlow said on Thursday he has confidence in Federal Reserve Chairman Jerome Powell but that President Donald Trump intends to proceed with plans to name a controversial partisan to the U.S. central bank's board of governors. At an event sponsored by The Hill, Kudlow said the White House is sticking by Herman Cain as a candidate for a Fed seat "at the moment," even after several Republican senators have come out against the idea and despite allegations of misconduct against the former pizza company chief executive. "He is in the process. We'll let him go through it. And the president insists on that," Kudlow said, adding Trump had reiterated his support for Cain as late as Wednesday night. Senator Kevin Cramer became the fourth Republican senator reported to oppose Cain's expected nomination, potentially putting his chances in peril. "The chairman of the Fed is the leader in the world of central banks. Now, thank God, Chairman Powell is there, but for him to have to deal with a politically motivated Fed - this is a really dangerous one," House of Representatives Speaker Nancy Pelosi said. Powell will brief House Democrats this evening at their annual retreat. "How do you see the Fed's independence, given what appears to be political persuasion trying to guide policy from outside the building?" Institute of International Finance President Tim Adams asked Fed Vice Chair Richard Clarida, in an apparent reference to recent demands by Trump that the Fed lower interest rates. "We are accountable to the Congress," Clarida said in an answer that skirted mention of Trump. "The Fed is a creation of the U.S. Congress by statute. We have a very clear in black-and-white mandate assigned to us ... which is maximum employment and price stability," not maximizing the growth rate of gross domestic product, he said. The president nominates members to the Fed's seven-member board of governors, and he elevated Powell to chairman a year ago. The nominations must be approved by the Senate. Another 12 members of the Federal Open Market Committee, which sets interest rates, head regional banks and are chosen by local boards of directors, not the president. Kudlow on Thursday reiterated that he disagreed with the Fed's most recent interest rate hikes. 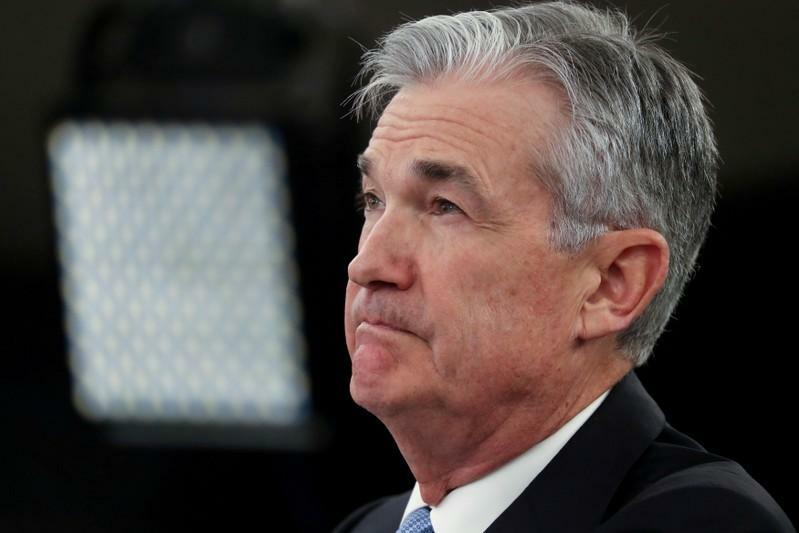 "He's a fine person," Kudlow said of Powell. "I think he's going to turn into a good Fed chairman." "The Fed is an independent central bank, and we aim to keep it that way," Kudlow said. "That doesn't mean we can't express our opinions periodically." Moore, for example, said in a Bloomberg interview that he felt Fed meetings should be televised: a likely non-starter for an organisation that publishes minutes of its meetings three weeks after the fact and holds regular press conferences, but feels a camera in the room would inhibit free discussion. "That might not be a good thing to do," Bullard said. "The Fed itself is a technocratic organisation, so even if someone comes in, they get converted to technocrats pretty quickly."